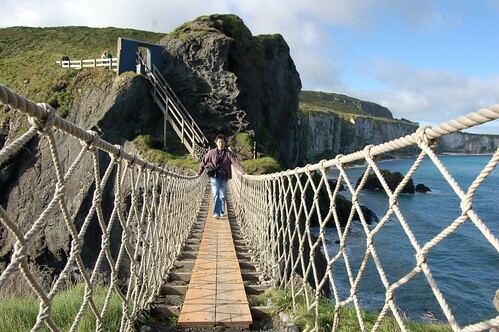 Carrick-a-Rede (meaning: 'rock in the road') Rope Bridge is a rope suspension bridge near Ballintoy, a small village in Antrim County, Northern Ireland. It connects the tiny Carrick Island to the mainland. 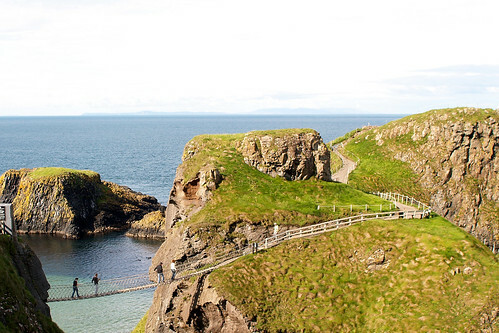 For more than 300 years local fishermen have been erecting rope bridges spanning 20 metres over the 30 metres deep chasm for the purpose of salmon fishing. 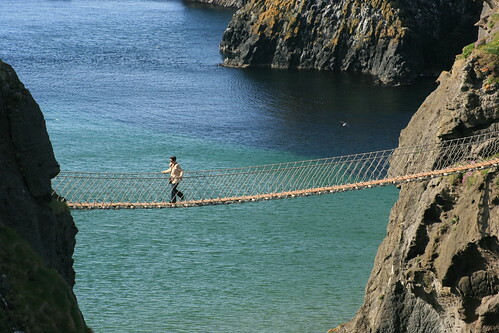 Now there are no fishes in the area however the bridge is very popular a tourist attraction and provides an exhilarating, though a bit scary, experience to tourists. 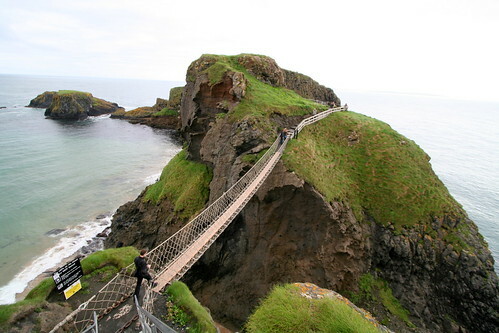 The bridge is quite safe but reportedly there have been few instances when tourists got stuck on the tiny Island as they didn't have enough courage to take the return trip over the swaying bridge and ultimately had to be rescued by boat. The bridge is taken down every year in late October or early November, depending on weather conditions and is re-erected again in March every year. The current bridge made of rope and Douglas fir bridge was erected in early in 2008.